My farming instincts are kicking in again. Last week at our local farmers’ market (East Lake) I picked up two plants and stuck them into the ground. 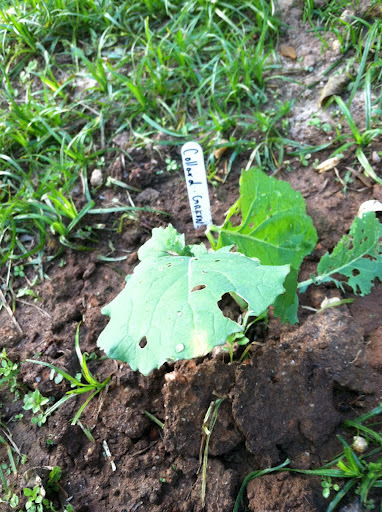 One is a collard–it has not made it to the plural. 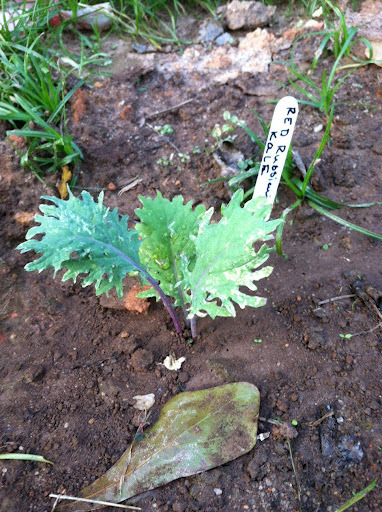 The other is Red Russian kale, which I discovered during our sojourn in North Carolina. The collard and kale live here . 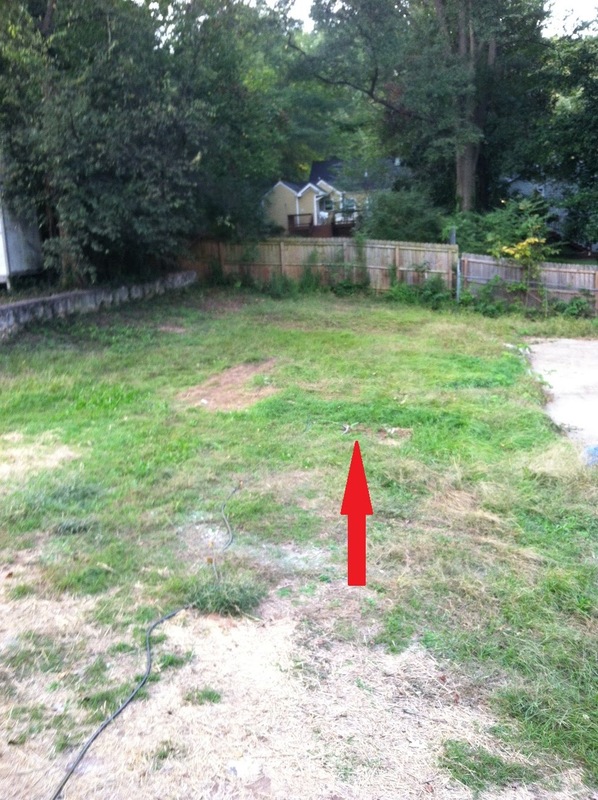 . .
Our garden has a ways to go. This entry was posted in Gardening, Vegetables. Bookmark the permalink.